The vision is simple, the cost would be eye-watering, and the result could stop the growing threat from burning fossil fuels in its tracks. 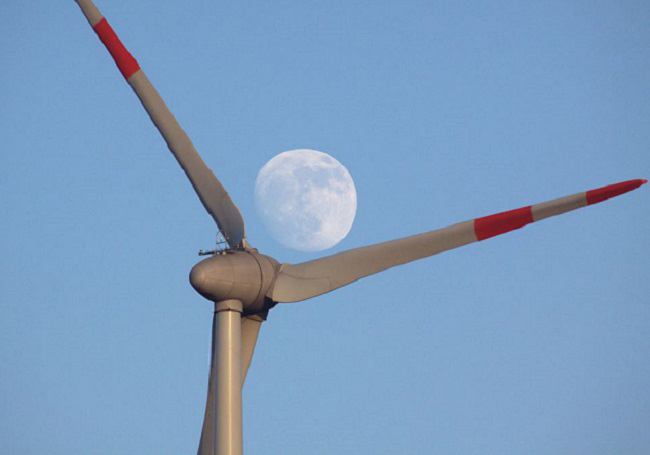 The authors of an initiative called the Global Apollo Program say that, given the required high level of investment, it should be possible within 10 years to meet electricity demand with reliable wind and/or solar power that is cheaper—in every country—than power based on coal. They say the scale of ambition needed to produce “baseload” power from renewable energy that is generated consistently to meet minimum demand matches that which sent the first humans to the Moon in 1969—at a cost, in today’s prices, of about $230 billion. Each country involved in the Global Apollo Program would be expected to contribute at least 0.02 percent of its gross domestic product—the total value of its economy—for 10 years to finance research, development and demonstration with an annual boost of $22.9 billion. The seven authors of the program include Sir David King, former chief scientist to the UK government; Lord Martin Rees, a former president of the Royal Society, the UK’s national academy of science; Lord John Browne, a former CEO of the energy giant BP; and the economist Lord Nicholas Stern, who led the team that published the 2006 Stern Review on the Economics of Climate Change. To avoid irreparable damage to the planet, they argue, world governments’ agreement to limit the Earth’s temperature rise to 2 degrees Celsius above pre-industrial levels demands an absolute limit on the total accumulated CO2 that can be produced. On present trends, that limit will be breached by 2035. To reduce our annual output of CO2 as urgently as we must, carbon-free energy will rapidly have to become cheaper to produce than energy based on coal, gas and oil. The major scientific and technological research program required will demand the best minds in the world and the best science. The authors say the program should be modeled on the International Technology Roadmap for Semiconductors, which has reduced semiconductor prices year on year for 30 years.